Farmington Hills Window Replacement | Farmington Hills Windows | Farmington Hills Window Replacement Cost | Farmington Hills Home Window Replacement | Farmington Hills Replacement WindowMcGlinch & Sons CO.
Pella Windows | Pella Wood Windows | Pella Fiberglass WindowsMcGlinch & Sons Co. Home Improvements is a family owned and operated home improvement company which has been providing extraordinary craftsmanship to customers throughout the Greater Detroit Metropolitan Area and Southern Michigan since 1917. Besides home improvement services, we are also recognized for delivering the finest in window replacement in the region. 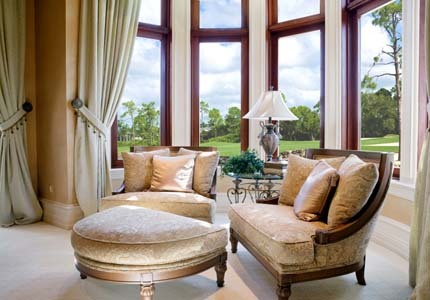 When you are searching for the best replacement windows for your residence, you are going to want the company that has been in business for close to a century – McGlinch & Sons, Co. We are a well-respected, company that upholds the highest standards, and we are proud to carry the most outstanding home window replacement products. When customers purchase our remarkable replacement windows, they are getting so much more than a window; they are getting “a whole new point of view.” Additionally, Farmington Hills residents also understand that with McGlinch & Sons, they will be receiving incomparable experience and service. Farmington Hills, Michigan is an upscale community in the Metropolitan Detroit area that is located in Oakland County. Approximately 80,000 residents live in Farmington Hills. Farmington Hills is also recognized as the home for McGlinch & Sons Co. Home Improvements. Our company is renowned for always being prompt, proficient and getting the job done on schedule and under our Farmington Hills customers’ budgets. Furthermore, Farmington Hills residents know that our capable team of professionals will be courteous, polite and respectful. We offer our Farmington Hills clients the most exceptional choice of interior and exterior colors, glass packages and accessories in all of our replacement window products. Our home window replacements offer the ultimate in performance and luxury together with top-of-the-line features for the enduring good looks our Farmington Hills customers want. No matter the style our Farmington clients prefer, we carry the following: double hung, sliding, picture, casement, awning, hopper, bay and bow, garden and sliding patio replacement window products. With the home window replacement products at McGlinch & Sons, you can expect them to enhance the beauty, value and curb appeal of your home. Not only are our replacement windows built to last and constructed to withstand the harshest weather conditions, but you can relax that the window replacement cost won’t empty your bank account, and McGlinch & Sons replacement windows will go on saving you money because you will realize up to 74% energy efficiency with them! For more information about our window replacement products, call McGlinch & Sons today at: Oakland: (248) 987-6300, West Side: (313) 278-2777, or East Side: (586) 776-8912. When it comes to replacement windows, the only name you need to know is: McGlinch & Sons Co. Home Improvements!